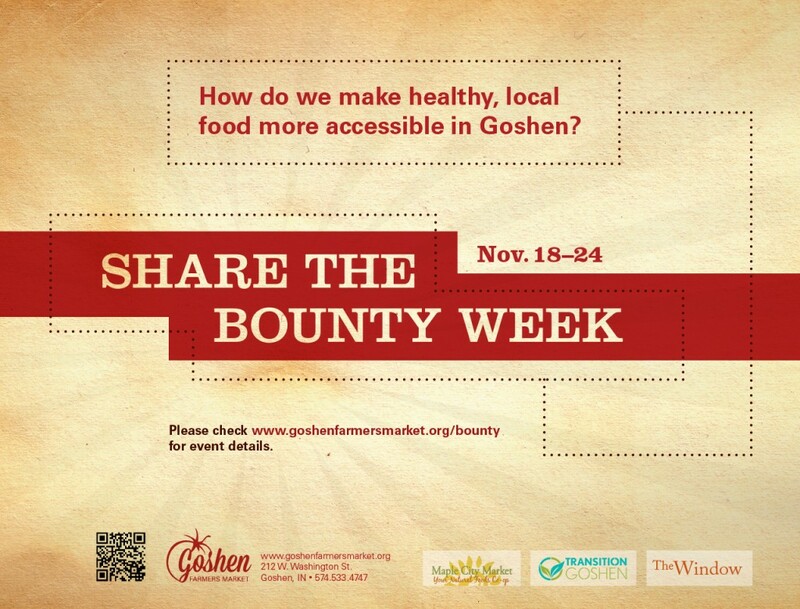 Please visit the Goshen Farmers Market website for full details. Please note that times and locations are subject to change; check back for up-to-date details. All events listed are free and open to the public. Come join us, come with your questions, come! This entry was posted in Food, Transition Goshen by Phil Metzler. Bookmark the permalink.